28 января 2010 года в Московском Центре образования № 1471 состоялся Круглый стол «Культура проектной деятельности – возможности сотрудничества в разработке и реализации международных образовательных проектов». В работе Круглого стола приняли участие педагоги и учащиеся московских школ, с которыми опытом своей работы в международных проектах сети iEARN поделились директор, учителя различных предметов и школьники Центра образования № 1471, тренер-консультант образовательного сообщества iEARN-Belarus София Савелова. Во время Круглого стола особое внимание было уделено презентации проекта ADOBY Youth Voices, по работе которого отдельную консультацию участникам предоставили Светлана Якубовская (международный консультант проекта, Беларусь) и Ольга Прохоренко (координатор проекта, Россия). On January, 28th, 2010 the round table «Culture of Project-based Activities: Cooperation in development and Realization of International Educational Projects» took place in Moscow Center of education № 1471. Many years ago the Moscow school 1471, which is the founder of the center, was at the beginnings of creation of iEARN. The meeting became possible by joint efforts of Sofia Savelava, expert of iEARN-Belarus network, Olga Prohorenko, co-coordinator of IEARN-Russia and Svetlana Yakubovskaya, AYV-Belarus consultant and online course trainer, all of who are actively working within Adobe Youth Voices project in their countries. 30 educators and students from 5 Moscow schools took part in the work of the Round table. The meeting was very useful and informative for cooperation development between Belarus and Russia. During the meeting, the participants were presented different activates of the school, which has wide experience of work in various projects. School administration skillfully makes use of this experience for development of the educational programs, direct inclusion of students in the life of school, school organization and their municipal district. During the Round table, the headmaster, teachers of various subjects and students of the Center of education № 1471 shared their experience of work in the international projects of iEARN as well as described the ways international cooperation is organized and educational technique of «project-based learning» is used in Moscow region. Special attention was given to presentation of Adobe Youth Voices project: having participated in the project for several years already, iEARN-Belarus was able to present the outcomes of AYV and to share the experience in the project implementation in Belarus. 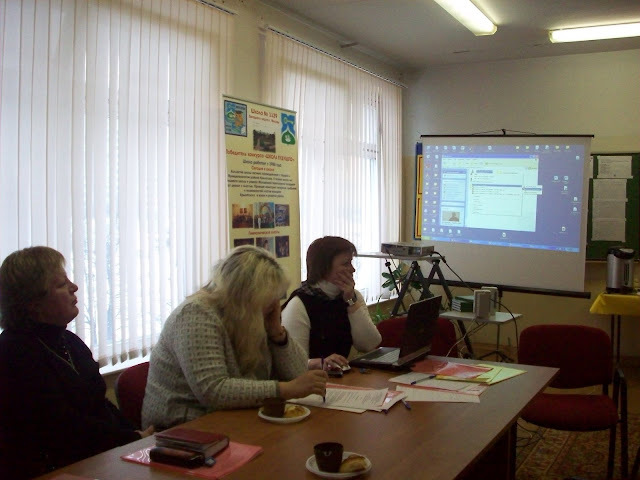 Additional consultations to participants were given by Svetlana Yakubovskaya and Olga Prokhorenko. This entry was posted on Февраль 6, 2010 by admin. It was filed under Новости .